A heartrending, gripping novel about two sisters in Belle Epoque Paris. 1878 Paris. Following their father's sudden death, the van Goethem sisters find their lives upended. Without his wages, and with the small amount their laundress mother earns disappearing into the absinthe bottle, eviction from their lodgings seems imminent. With few options for work, Marie is dispatched to the Paris Opera, where for a scant seventeen francs a week, she will be trained to enter the famous ballet. Her older sister, Antoinette, finds work as an extra in a stage adaptation of Emile Zola's naturalist masterpiece "L Assommoir." Marie throws herself into dance and is soon modeling in the studio of Edgar Degas, where her image will forever be immortalized as "Little Dancer Aged Fourteen." There she meets a wealthy male patron of the ballet, but might the assistance he offers come with strings attached? Meanwhile Antoinette, derailed by her love for the dangerous Emile Abadie, must choose between honest labor and the more profitable avenues open to a young woman of the Parisian demimonde. 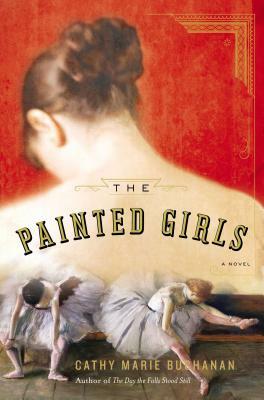 Set at a moment of profound artistic, cultural, and societal change, "The Painted Girls" is a tale of two remarkable sisters rendered uniquely vulnerable to the darker impulses of civilized society. In the end, each will come to realize that her salvation, if not survival, lies with the other. Cathy Marie Buchanan is the author of the national bestseller "The Day the Falls Stood Still," a Barnes & Noble Recommends selection and an Indie Next pick. She lives in Toronto.